Ayeka: The Center for Soulful Education announced that it has selected Milton Gottesman Jewish Day School of the Nation’s Capital along with Atlanta Jewish Academy, Hillel Day School of Metropolitan Detroit, and Netivot HaTorah Day School in Toronto to participate in a cohort funded jointly by The AVI CHAI, Kohelet, and Mayberg Foundations. Ayeka was awarded a two-year grant to partner with Jewish day schools in North America to implement its Soulful Education methodology for Judaic Studies teachers, beginning January 2018. 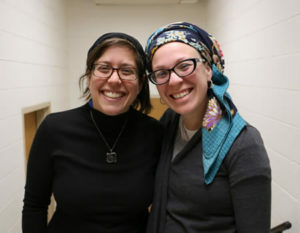 MILTON educators Zahava Bensimon (Judaic Studies Teacher for Grade 5, Instructional Leader for Judaic Studies in Grades 2-5) and Nechama Malkiel (Judaic Studies Teacher for Grades 3-4) were selected to participate in the multi-year program. Through the program, they will become experts in implementing Ayeka’s game-changing Soulful Education pedagogy in their classrooms, and will become internal agents of change, training and coaching other Judaic Studies staff members in Ayeka’s proven methodology. The program will include retreats, on-site coaching sessions, individual mentoring and virtual conversations for faculty and administration of the selected schools. 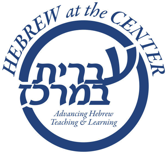 Founded in 2006, Ayeka’s mission is to provide teachers and individuals with tools to breathe life into Jewish text study and enable a personally relevant, meaningful, and life-impacting experience.